Popular article statistics page displays a list of popular articles arranged in descending order according to the number of times they have been viewed. Expand "Statistics" section in left navigation bar and click on "Articles" link. Article statistics page will display; click on "Popular Articles" tab to view reports related to popular articles. In ML editions, the report displays the articles of the particular language only i.e. language selected in language drop-down. To view the popular articles in other languages, choose the respective language from the language drop-down available on the right-hand side of the screen. 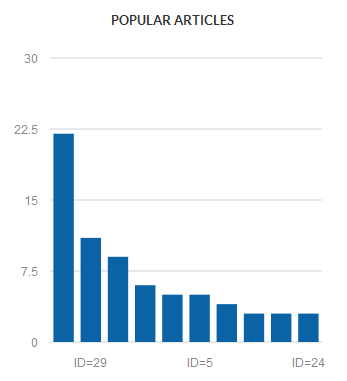 The x-axis represents the auto generated serial ID of the article in the knowledge base. Y-axis represents the total count of views corresponding to the serial ID. Title: This column displays the title of the article. You can click on the article title to view its details. Views: This column displays the total count of the views corresponding to the article. The most popular article is listed on the top and the least one at the bottom. 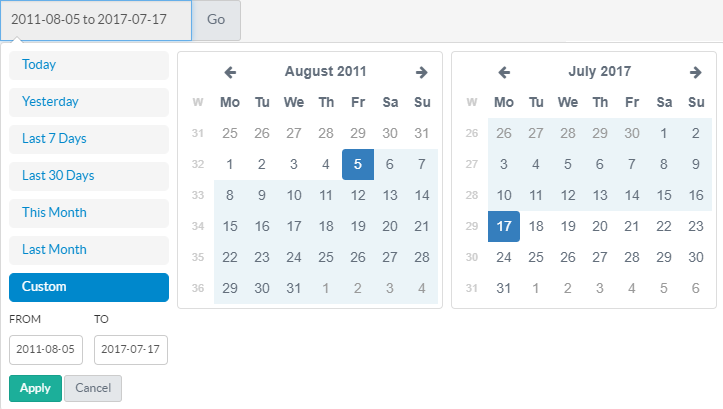 You can use the date drop-down under different statistics screens to specify the period for which you want to see the statistics. A number of ready made range selectors like yesterday, last 7 days etc. are already available. However, you can specify the custom range of your choice from the drop-down.